When it comes to cooking food and desserts, there are many gadgets intended to make life easier. Everyone wants to make and eat a homemade dinner. This is especially true if you have a family. You want to serve your children a healthy home cooked meal. The constraint on doing so is time. It takes time to properly cook a meal that hits all the major food groups and tastes great to boot. 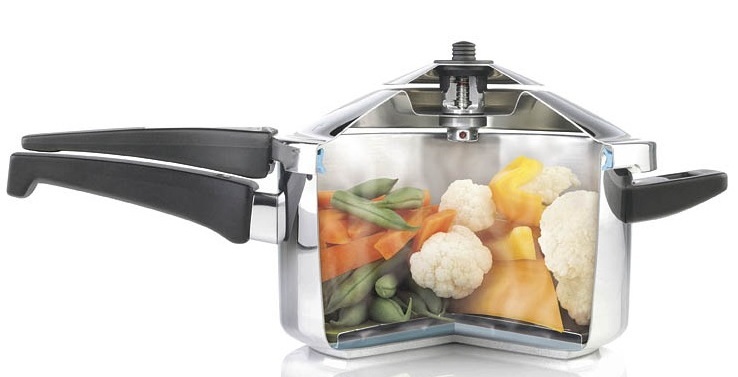 There are many gadgets that have been invented in order to make cooking easier. For instance, the crockpot allows you to put uncooked food in and leave for eight to ten hours, and when you come back, it will be ready to serve to your family. Ninety-second microwavable rice, microwave steamable vegetables, and so many other items lend themselves to convenience in the kitchen. Another convenience that most cooks have heard of, but may not completely understand, is a pressure cooker. The pressure cooker originated in France and was invented by a man named Denis Papin, who actually was working on a notion of converting pressure into steam. He ended up demonstrating this new discovery by cooking. The pressure cooker works off of a steam and pressure principle. As a note of interest, it took quite a bit of work to make these cookers safe before they were able to be sold on the market to the public. Here is what you need to know about multi-pressure cooker traits. The pressure cooker base is a sealed pot. This pot has a valve which is used to control the pressure inside of the pot. The pressure in the pot raises as the liquid within heats up. The result of this is that the boiling point of the water in the pot is raised and can get as high as 250 degrees Fahrenheit. This in turn helps the food cook faster. The higher the pressure, the more the moisture is forced into the food, making for a deliciously tender meal. This is very helpful when it comes to cooking normally dry meats. The sky’s the limit. This is a very versatile cooking gadget. You can cook rice, beans, meats, and even eggs. Most people tend to cook some type of meat dish in them such as stew. Pressure cookers are different from any other cooking method, including crockpots, and they take some getting used to, so don’t be surprised if the first meal doesn’t go quite as expected. Consumers can expect a variety of features when it comes to purchasing a pressure cooker to fit their family’s needs. For starters, pressure cookers will have different cooking modes such as old rice, mixed rice, soup, porridge, gaba rice, and much more. They also feature convenient auto steam cleaning, hydraulic slow opening mode for user safety, and a soft steam cap. You new unit will have a water draining system for convenience, a non-stop seam emission, detachable cover, and mega thermal power. Enjoy cooking with your new pressure cooker.